The increasing involvement of corporates in environmental and sustainable development programmes highlights that Namibia is going somewhere in terms of sustainable environmental management. Nedbank Namibia is a good example of an institution that has hoisted its name high since initiating the Go Green Fund in 2001 with the Namibia Nature Foundation (NNF). Since 2011 the Go Green Fund has been granted over N$3.5 million to more than 35 environmental projects in almost all parts of the country, and played a pivotal role in supporting Namibian projects. The NNF embraced the opportunity to manage the Go Green Fund and its associated project activities with Nedbank Namibia. Since the NNF is one of the key NGOs in Namibia with more than 60 projects under its technical and financial management, it was recognised by Nedbank Namibia as the best organisation to coordinate all aspects of the grants. The partnership has developed since 2001, and now, more than ten years later, is confident that it will continue to do so for many more. The Go Green Fund has supported projects ranging from the conservation of rare and endangered species (both on land and in water), to environmental education and climate change. The Fund is non-selective, insofar as it is aimed at supporting individuals and organisations that share the goal of working towards a more sustainable future. Since the Namibian Government cannot carry the banner of conservation alone, support from private sectors and institutions is imperative, with Nedbank Namibia’s Go Green Fund playing a key role over the last decade. The Go Green Fund is linked to specific Nedbank Namibia corporate products. The selection of projects is done by a neutral board and is administered by the NNF. The projects are monitored and evaluated on a regular basis. • provide and disseminate good-quality information on environmental issues and parameters to the community/nation at large. Environmental education is a national and international priority. The Namib Desert Environmental Education Trust (NaDEET), managed by Viktoria Keding, is a non-profit Namibian trust established in 2003. The Go Green Fund has supported NaDEET from the outset. Operating from the NamibRand Nature Reserve, the aim of the Trust is to provide environmental education to Namibians, regardless of income, focusing mainly on children and their potential roles in Namibia’s future. NaDEET empowers people to improve their living conditions and work towards a sustainable future. It promotes environmental education and awareness of environmental issues in a hands-on way, using eco-friendly skills. The support of the Go Green Fund to NaDEET has been invaluable, as it has given a large number of children the opportunity to learn how to live in a sustainable manner, as well as exposing them to the magic of the Namib Desert. Using chilli products to modify animal behaviour is not new. Chilli products have been applied in different ways for centuries to deter elephants from destroying crops, homesteads and other areas where elephants and humans come into contact. The use of chillies to protect crops was promoted in Namibia- when the Go Green Fund sponsored the Namushasha Elephant Deterrent project based in the Mashi and Torra Conservancies. Coordinated by Dr Conrad Brain, a method was developed to produce ‘chilli bombs’ made up of elephant dung mixed with dried chilli and shaped into bricks. When ignited, the ‘chilli bombs’ produce a noxious smoke that deters elephants. It is a remarkable method insofar as the elephants’ own dung is one of the ingredients used to protect crops and humans from the raiding elephants. An additional benefit is that the local economy is boosted, since income is generated from the growth and sale of the chillies by the local communities. Cooperation with other NGOs involved in the region helps disseminate further information on the project and enables local inhabitants to share in the benefits that the ‘chilli bombs’ offer. This project is an example of the excellent work done by the Go Green Fund. 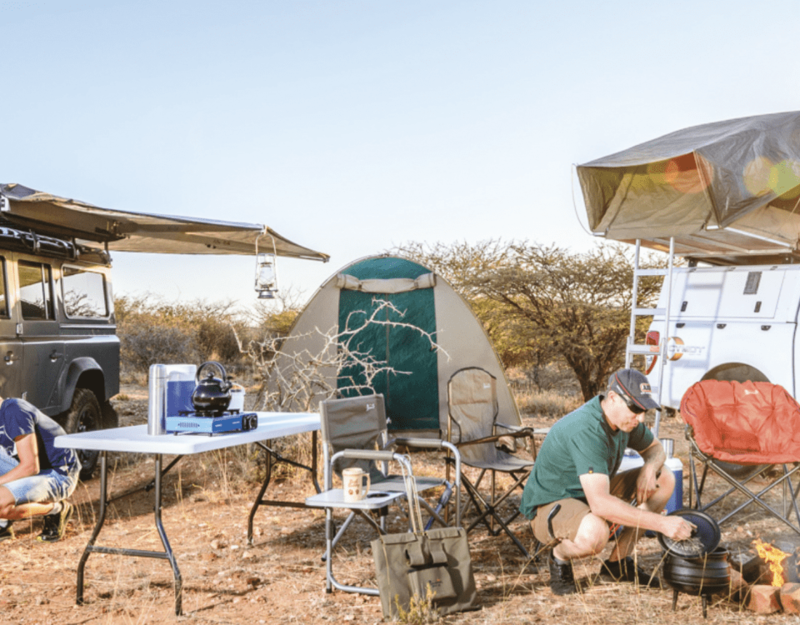 More recently support has been provided to the development of an online and freely accessible electronic database management system for Namibian biodiversity, as well as a targeted plant resource system. These initiatives highlight that the Go Green Fund is not only about conserving trees or lions or whales, but is also involved in managing flora and fauna species data through easy, open and free-access databases- to benefit current and future researchers in Namibia and abroad. Future initiatives of the Go Green Fund will go a long way to support sustainable development, climate change adaptation, habitat conservation and tomorrow’s conservation leadership throughout Namibia. A key area identified to date is awareness enhancement for Namibia’s future leaders through the national youth climate-change forum. In 2011 the forum was facilitated by the Ministry of Environment and Tourism’s Africa Adaptation Programme on Climate Change. This initiative and involvement in environmental public talks will help increase awareness around key conservation and sustainable development issues such as climate change and loss of biodiversity. Climate change is an international concern that calls for increased local participation through innovative ideas to combat the devastating effects facing Namibia (and beyond). The Go Green Fund is ready to accelerate its involvement in this area. In NNF’s endeavours to support conservation and sustainable development throughout Namibia, an important tool that the Go Green Fund seeks to advance is its marketing and publicity reach towards making it a household name. The Go Green Fund should be well known nationally and regionally as a Nedbank Namibia programme partnering with the NNF. The Go Green Fund lives up to the principles that environmental conservation and sustainable development are no longer a choice but a responsibility to be taken seriously- by all Namibians. This article appeared in the 2012 edition of Conservation and the Environment in Namibia.